The Royal Oak, Dunkeswell a 17th century pub used during the 2nd World war by Americans from the local Naval Base. This photo was taken around 1974. 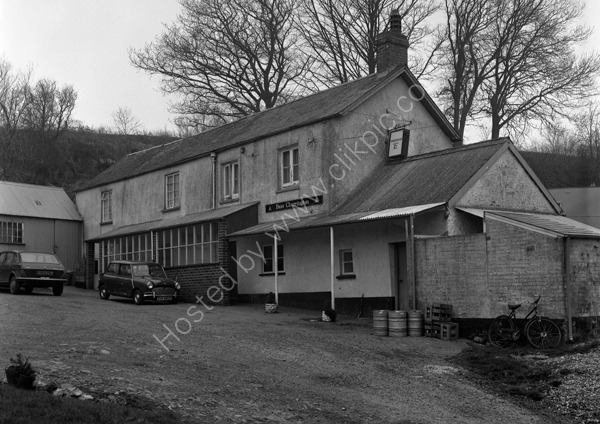 At the time of first loading this photograph onto the website, (2012/13) the locals were trying to keep this pub open. The attempt failed and the pub closed in 2011 and was converted into a house. The car with its back to us was fairly new at the time of the photo being RYB 625L registered in 1972 whereas the Mini, DVK 882C is slightly older and was first registered in 1965. For commercial use of this photograph please visit www.alamy.com and search for AA1N35 but for a one off print, please see below.